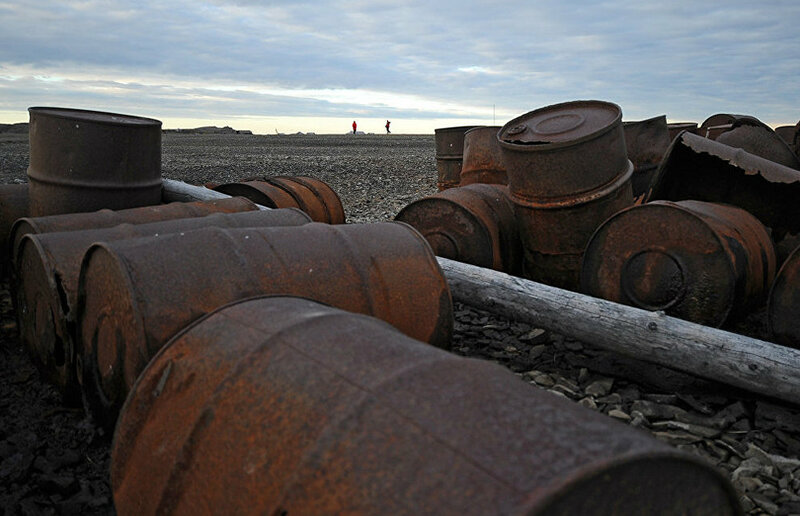 An unauthorized store of hazardous waste has been found in Chukotka, on the coast of the East Siberian Sea, according to the Far-Eastern Transportation Prosecutor's Office. "The Magadan Transportation Prosecutor's Office has inspected the compliance with the environment legislation in the Arctic and sea ports on the Northern Sea Route. 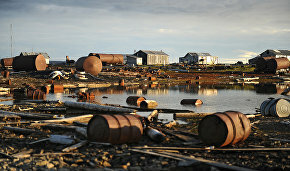 During the inspection, an unauthorized store of hazardous waste, which belongs to Chukotsnab, was found at Pevek Port in the Chukotka Autonomous Area, on the coast of the East Siberian Sea," the message reads. According to the Prosecutor's Office, about 3,000 barrels with oil waste were left in the water protection area for a long time, and the store conditions did not comply with the demands, so the barrels had been partly destroyed. Therefore their content contaminated the soil together with the water. Those responsible for violating the environment legislation were fined. The hazardous waste, which was accumulating there for several dozen of years, has been completely disposed of.